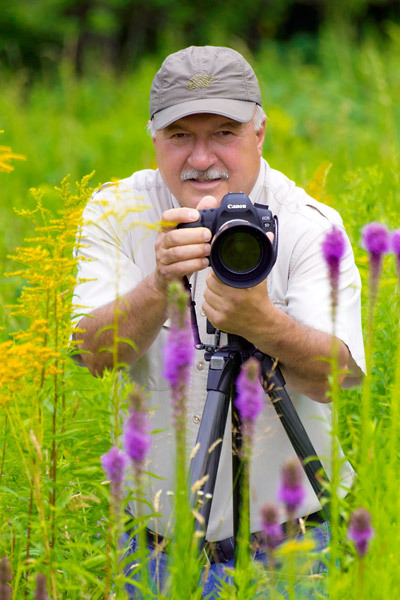 Nature photographer Michael Gadomski will be presenting his film, “Wild Pennsylvania,” on Monday, July 1 at 7pm at the PPL Environmental Learning Center, Route 6, Hawley, PA. All are welcome. The program follows our annual election of officers and directors, which starts at 6pm. Complimenting his first major coffee table book by the same name, this multimedia program contains over 400 images, many of which do not appear in the book. Gadomski’s beautiful photographs cover the entire state of Pennsylvania, from the tidal marshes near Philadelphia to the shore of Lake Erie and from the extreme southwest corner of Greene County, just up the creek from West Virginia, to a summer wildflower lined pond near the West Branch of the Delaware River in a tiny corner of northeast Wayne County; and everything in between. Over five different software programs were used to put the whole program together. It is shown through high resolution digital projection, with accompanying sound. The book “Wild Pennsylvania” is now out of print and no longer available, except for the very few copies left on Amazon and some used copies through independent book sellers. However, personally signed copies of Gadomski’s other two current books, “Philadelphia – Portrait of a City” published by Graphic Arts Books and “The Catskill– A Photographic Portrait” published by Twin Lights Publishers, will be available for sale. Gadomski’s newest book, “Reserves of Strength,” will be released on July 28. Michael P. Gadomski is a professional photographer located in the Pocono Mountains of Pennsylvania. Growing up in the Poconos he explored the nearby woods, lakes, and wetlands as a child and developed a keen interest and a love for the natural world at an early age. While in college he became interested in photography and started to combine his interest in the natural environment with photography. For 25 years he was also employed as a park naturalist and a park ranger by the Pennsylvania Bureau of State Parks. In 2002 he left the State Park Service to devote himself to a full time photography career. Although landscapes are his specialty he is accomplished in other venues of photography including travel, botanical, micro, agriculture, lifestyles and people. Because he takes a naturalistic approach to photography the vast majority of his subjects are illuminated in natural light. He has photographed from aircraft, snowshoes, kayaks, from steep rock ledges, and often while wading in waist deep mud and water. He has returned from photo shoots with broken bones, twisted ankles, numerous bee stings and various cuts and lacerations. His collection of broken cameras and lens attest to the extreme conditions he has challenged to get the right shot. Often working on the edge to get lighting or compositions not often seen by the casual observer, his images often take on an artistic or abstract characteristic. At other times his images are of a pure journalistic nature and frequently used by editorial publishers. His images have been used by hundreds of publishers and have been published worldwide. Learn more about Michael and see his photography at www.mpgadomski.com. Please note that this program has changed as NEPA Audubon president and photographer Chris Fischer will be away on a project photographing seabirds for Audubon’s Project Puffin. His presentation on the birds and wildlife of Southern Africa will be rescheduled for a later date. Another Great Art and Craft Festival Coming! 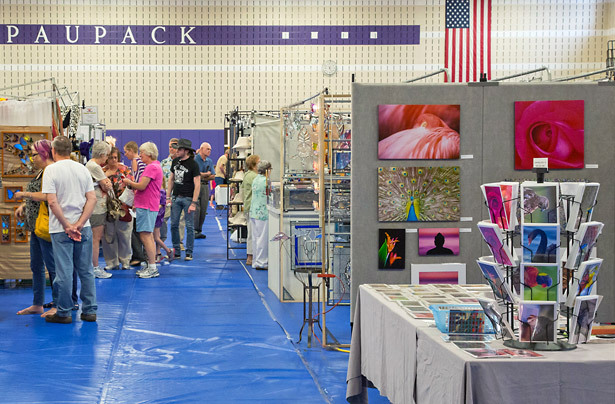 Mark your calendar for the July 20 and 21 NEPAS Art and Craft Festival at Wallenpaupack High School, near Hawley, PA. It promises to be better than ever, with wildlife art, top-notch crafts, and wonderful wildlife entertainment and education. This is an excellent event for the whole family, because in addition to the great art and crafts, there will be live animals, reptiles, and birds, as well as other educational exhibits that will entice and benefit everyone. It’s also a great place to shop ahead for Christmas gifts. To top it off, your admission to this event funds scholarships for young people to go to camp and to college. Look for the dollar-off coupons in the local papers and bring the whole family. Admission is $5, kids under 12 free. See you there! 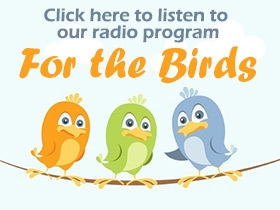 For more information, please visit the Audubon Art and Craft Festival website.